Have you ever wanted to attract top-producing Real Estate Agents? Have you considered co-marketing with Real Estate Agents? Forget about MSA’s and paying for business. 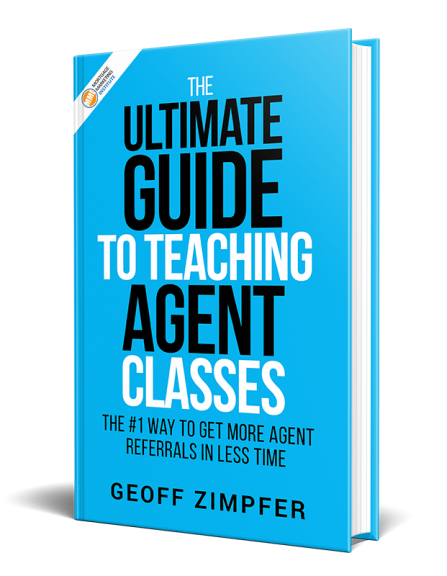 What if you could learn the best practices for co-marketing with top agents? Imagine aligning yourself with the buyer and agent through the entire customer lifecycle of a homebuyer and building a true partnership. 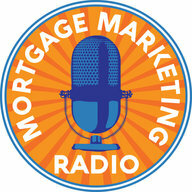 Our special guest for Mortgage Marketing Radio this week is Joe Welu. Joe is a real estate industry expert, entrepreneur and the founder of Total Expert, the first enterprise-grade co-marketing software platform for the real estate and mortgage industry. In our interview, Joe discusses how to make co-marketing work in your business, as well as some of the most effective things Mortgage Loan Officers are doing in the marketplace to truly partner with top producing real estate agents. 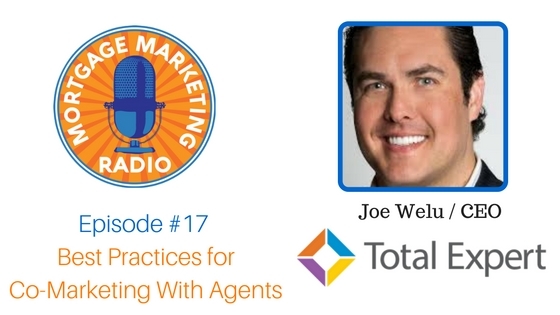 Joe also shares high-quality questions to ask agents in order to find the right partner for your co-marketing efforts, as well as some of the specific channels you can use inside Total Expert to market to buyers along their journey. One important thing to remember is that there’s no “one size fits all” to co-marketing; it really depends on the type of market you’re in, who yo are as a loan officer, the individual agents you work with and more. Joe explains this in detail during the interview. Joe also shares a FREE Lender Daily Action Plan, which you can download below.